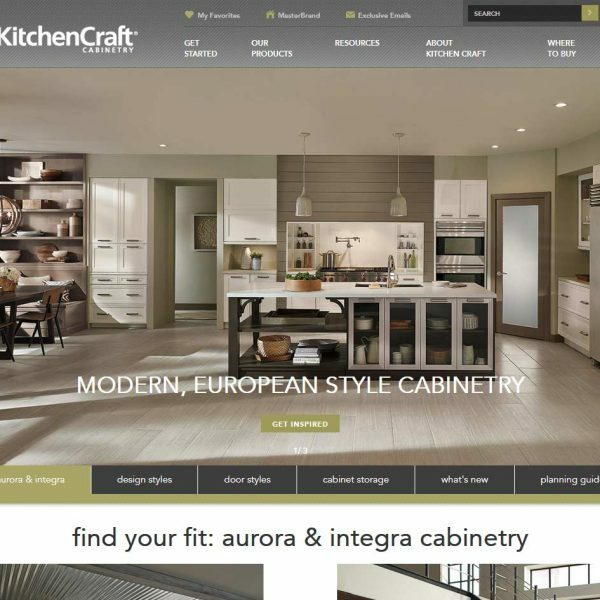 Kitchen Craft was founded more than 40 years ago in Winnipeg, Manitoba, and is now sold in hundreds of stores in Canada and the United States. 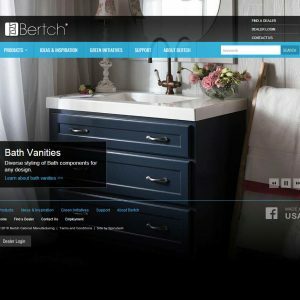 Kitchen Craft manufactures two lines of cabinetry, Integra and Aurora, for the kitchen, bathroom, home office, laundry and other areas throughout the home. 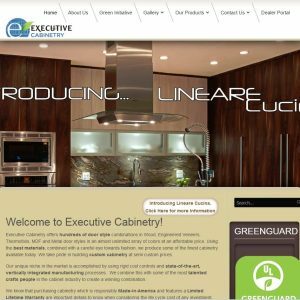 In 2002, Kitchen Craft became part of the MasterBrand Cabinets, Inc. of cabinet manufacturers, offering multiple lines from stock to custom cabinetry. Kitchen Craft continually listen to the desires of their customers to ensure that all products meet their needs. 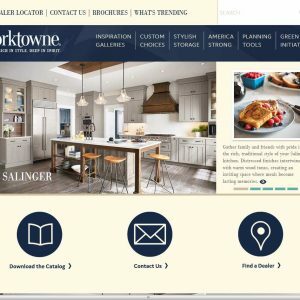 Whether moving into a new home or improving their current one, customers want to create their ideal living spaces – it’s Kitchen Craft’s goal to help them. This is why they offer both quality and versatility, classically made cabinets with trend-forward European styling designed to fit any budget. Only authorized dealers can sell Kitchen Craft products to consumers. Why? Because dealers can provide invaluable service that helps make your project happen how and when you want it to. Dealers measure the space, assist with design, order the products and arrange for installation. They also stand behind the products, addressing any challenges that may arise right then, right now. This degree of attentiveness can only be accomplished at a local level. 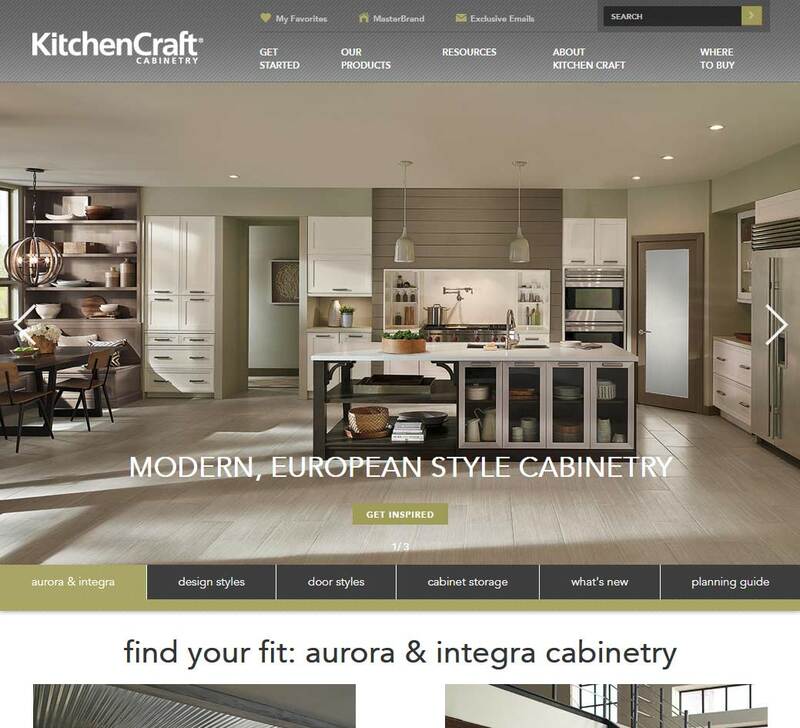 KitchenCraft are part of the Norcraft/MasterBrand group and are based out of Jasper, Indiana. About five yrs ago. The look is still beautiful, but decided to post that the finish near the hardware has started to war off on a number of cabinets. Maybe this is normal wear and tear but I wanted to report it. Overall, the customer service was good; they replaced a couple doors on which the stain was not well-matched to the other pieces. They also made doors for the fridge, too, which turned out very nicely . I would use this company again. The Kitchen Kraft frameless boxes are complete garbage. Large gaps at the joints, corners not aligned flush, cheap plastic “veneer” tape on the edges with glue oozing out and smeared across the wood panel and some of the tape was not even trimmed flush to the face. Every box was significantly out of square, which made it tough to line them up and screw them together. The door construction was alright, but there quality control was nonexistent. Even though every box had a little QC sticker on it, Kitchen Kraft obviously hires the blind, as out of an order for 17 cabinet, one door showed up with two large cracks in one rail, another door had obvious planner marks on part of the center panel, one door had large sap pocket pits in two rails and never should have been finished, two 10×24 doors were warped about 3/8″corner to corner and on one cabinet the door heights differed by not quite a 1/4 inch. 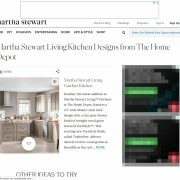 Ont he design side, their pull out shelves are recessed back in from the front of the cabinet about 3 inches which is a waste of space. We looked at a lot of door styles and they had the only one we liked (Napoli). In hindsight, we should have ordered the doors and built the boxes ourselves. $16K for 17 cabinets and trim was a total rip, as they clearly don’t have any skilled labor on the box building line and their inspectors need better glasses. The finish wears terrible. It is rubbing off on the edges of my cabinets and they look awful. I would never purchase this brand again. Kitchen Craft is a good box. My biggest beef is they have a standard box and everything is an option. Important: all reviews for KitchenCraft should comply with our review policies here.